UTR: Was music an important part of your home growing up? LD: Yeah it was always there, but it really took root around 12 and 13. I discovered the radio and would listen with headphones for all hours of the night. I was deeply insecure, and with the music I was listening to, there was this confidence that I felt when I listened. It was this empowering and magical thing. And I wanted to be a part of that magic so I picked up a guitar that was lying around the house and started down that road. Looking back I wanted to make people feel something. And of course, this is coming through the lens of time… if you had asked me then, I would have been doing it for the girls. But that’s pretty magical to a 13 years old. Plus my family was a military family and we moved every 2 to 3 years which made making good friends challenging, so music and in turn the guitar became a best friend with benefits. UTR: Your most recent set of releases are called North, West… and now South. Is there an overarching theme at play? And should we expect East next? LD: That’s exactly what you can expect, LOL. I decided to do a 4 EP Compass project a few years ago. I had finished Polarized and a deal with Dream Records and was figuring out what next. I had no record deal, no finances, so I started making records on my own or they wouldn’t get made. At some point I started seeing this thing as this prophetic journey that represents something bigger… seems kinda crazy but I digress. South as a record is less wrestling and dreaming but kind of a dive into pain and madness while accepting the damage that a dream can do, but its also still holding on to what’s most important. I don’t know if that makes anyone want to listen to it but its the truth. East... In some way this will be about going back. I’ve got some songs written, so we will see how it turns out. I want to get it out by February of 2018, so fingers crossed. 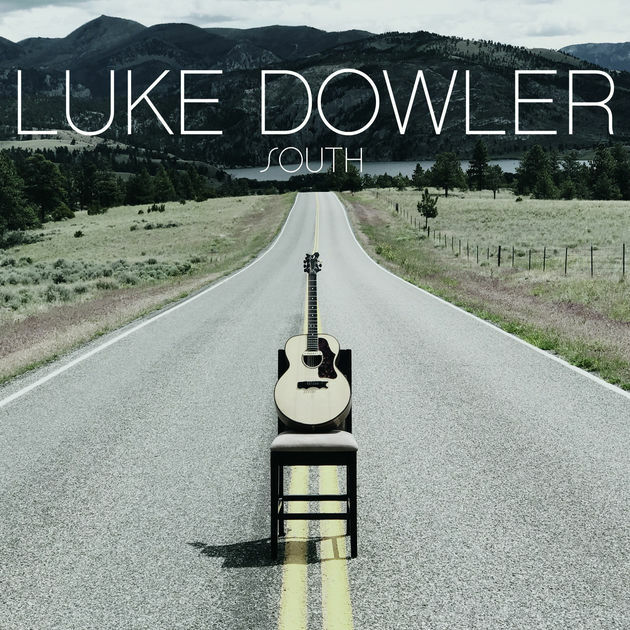 UTR: The new release South is great from start to finish. What were some of the things that inspired this work? LD: First of all, thanks so much. I appreciate that. It’s great to hear that its worth listening to! Especially since this record is really an after the “fire” record, or after the damage is done… if that makes sense. So it’s all life, man! For God’s Sake is a lamentation and a protest for how systems and good intentions can be ways of death. When I wrote it I was inspired by a death row inmate who had DNA evidence that proved he was not at the scene of the crime, but the justice system would not hear his case. It made me think about how systems we put in place to protect us, political and religious can be the very things that keep us down and become the bringers of death. It makes me thankful for grace. Some of these songs I’ve carried for a while but Everything’s Gonna Work Out Fine was one that came in January of this year. I had to come off the road in the Fall of 2015 because I was losing function of my leg, had constant chronic pain and could be incapacitated for days at time which made touring impossible, if not dangerous. After a year of doctors and shots and MRIs I saw a doctor that said he could help. On the drive home that day I started singing the line and melody and came home and wrote it over the next 2 or 3 days. I think it’s my favorite on the record. UTR: Though they are all great, is there one song from South that you are particularly excited to play live for audiences? LD: Absolutely, but I can’t talk about just one though, haha. “Mercy Mercy Mercy” – Playing it with the band is a rush. It kind of opened up this other side of me musically that I’d been almost avoiding. I have a few more like this coming. “A Good Man” has been working really well with the band too, with this new groove. “Baby We’re All Monsters” is a killer song with the band. We do it completely different take than the record. In fact I recorded the version on the record in the last days of mixing because I wanted this song on the record and wanted it understated. UTR: What are some of the pros and cons of being a songwriter based in Montana? The truth is that I wrestle daily with a regret of planting here, in what feels like obscurity, on purpose. Don’t get me wrong, my wife and I did so on purpose believing God had something good in store 😉 but still I wonder would I be further along in my career? Would a bigger audience have found my music? Would I still be counting change to feed my kids? If I had planted somewhere else that had more opportunity for songwriters, would I be better off? And then I look out of my back window at the waves of golden grain leading up to the silhouettes of mountains and pines stretched across and all around and I hear my wife and kids and I realize how pathetic those doubts and fears are in the light of eternity and the glory of creation and how each breath is a numbered gift. Typical ‘grass is greener’ stuff, but the struggle is real though – and it can be a daily thing. My goal is to settle into being content with where I am at and being present for the good stuff that life has to offer. And where I’m at at the moment is Montana, and it has some of the best of that good stuff. Oh, and I can pee in my backyard after a day of riding grizzly bears. UTR: Earlier this year, you added “podcaster” to your resume. What’s the essence of your show and how can we find it? LD: The Dowlercast…. it’s just about the journey of artists – on and off the beaten path. I want to talk to artists of all walks of life not just those that share my Christian worldview, so I try to keep it natural and conversational. You can find it (and subscribe) on Apple Podcasts. If you are ever near or heading through the Casper Wyoming give me a call. I could line up a venue for you to play.